Believe those 3 aircraft are Su-30SM's. They were probably loaned by the AF for training purposes. No, Russian Naval Aviation has 24 Su-30SM's on order. First 12 are at Saki Airfield. Очередная партия палубных истребителей Су-33 оборудована специальной вычислительной подсистемы СВП-24-33 в рамках модернизации. В результате проведенной модернизации они смогут с высокой эффективностью работать не только по воздушным, но также по наземным и морским целям. A new batch of naval fighters Su-33 are equipped with SVP-24-33 during modernisation. After modernization, they could highly effectively work against targets in the air, on the ground and on the sea. This text is written in the way, that SVP-24-33 subsystem could be just a part of modernisation, not the whole modernisation. It is normal for inservice aircraft and vehicles to get upgrades to keep them relevant... they cost money to keep in service so it makes sense to spend a little more to keep them useful. Also upgrades can replace old equipment that will get harder to maintain over time. If you don't understand this... think about trying to buy a Video cassette tape of a new movie coming out now... it is easier and cheaper to buy a flash RAM compatible TV than to get the movie and record it onto video tape to play on an old video tape recorder. Article by Maxim Klimov: "The fiery sky of the Russian fleet. Without an effective and strong naval aviation, there can be no modern Navy" criticizing the development of the aviation component of the current Russian Navy. Realy interesting that this BS "articles" are coming now and not ten years ago. Today they are out of date, with new Su-30SM and MiG-29K´s delivered, Il-38 and Ka-27 modernised and plans to modernise the Tu-142. I checked the original; among other things, they plan to have the MiG-29K/UB & develop AEWAC plane for ship-borne ops. In regard to the MiG-29, it was the MiG-29UB that did not have a full standard radar... it has a tiny ranging only radar in its nose, but the original radar was removed to save weight (for the second pilot) and also reduce cost as this was basically a training aircraft, though with IRST and IR guided weapons there is nothing hugely wrong with it. The current MiGs are based on the MiG-29M2 design and the single and two seat model have the same airframe and both have fully operational radars and other equipment. The only difference is that the single seat model uses the space for the extra seat for fuel so its range is slightly extended over the two seat model... otherwise they are identical. That includes the MiG-29M2 land version with single and two seat models, the MiG-29KR naval model with single and two seat models and the MiG-35 with single and two seat models. The MiG-35 is reportedly designed to operate from carriers as is. An AWACS model would be interesting, but personally I would prefer a dedicated aircraft designed from the outset for the role, though if they can get 360 degree radar on a fighter sized plane then good on them. The obvious question to ask some members here is why bother if the MiG-35 is already obsolete and will be out of service within ten years... maybe they just don't know what they are talking about? An AWACS model would be interesting, but personally I would prefer a dedicated aircraft designed from the outset for the role,.. The AWACS plane won't be based on the MiG-29, & it wasn't implied. They may not be obsolete now & out of service within ten years; who said they can't be upgraded like the MiG-21/-31s, & A-4s, F-4/-14/-15s were for decades? At the KADEX-2018 exhibition in Kazakhstan, a project of the Il-114MP marine patrol aircraft on the basis of the passenger Il-114-300 was presented. It's not the first time they present this. For longer ranged patrols, the Tu-204/-334 could be better choices IMO. It is impossible to replace all obsolete aircraft with A-42 flying boats because it would take about 20 years for the Taganrog plant that manufactures them, as well as the smaller Beriev Be-200 planes for the Emergencies Ministry, to fulfill the contract for at least 40 such aircraft. A good replacement would be the Tupolev Tu-204-P multi-mission maritime aircraft, which was developed on the basis of the Tu-204 medium-haul airliner. It resembles the state-of-the-art Boeing P-8 Poseidon, a converted B-737. This aircraft could be mass-produced if the Russian Navy were to order a sufficient quantity, unlike the A-42 flying boats. This would provide much-needed support to the Tu-204 program, which has essentially no commercial orders. - Igor Sergeyevich, if possible, indicate, please, the prospects for the development of naval aviation for a long period of time, for example, until 2050. - As I have already mentioned, in naval aviation it is planned to modernize the existing fleet of aircraft and their phased replacement with promising aviation complexes. The daily routine of sea pilots. Photo Vadim Savitsky. At the first stage (until 2020), an active modernization of the existing aircraft fleet is carried out. We are also talking about the replacement of special aircraft with new types of aircraft, the inclusion of assault and transport-assault ship-based helicopters (Ka-52K), naval unmanned aerial vehicles into the combat strength of the naval fighter aircraft units (MiG-29K / KUB). In total, up to 2020 it is planned to supply more than 100 aircraft to the naval aviation of the Navy. At the second stage (2021–2030), the modernization of the entire fleet of naval aviation aircraft and helicopters and the re-equipment of coastal-based fighter-assault aviation aircraft will be continued. home base. Naval aircraft of the radar patrol, ship-based unmanned aerial vehicles, and a promising naval aviation complex should come into service with naval aviation. At the third stage (2031–2050), naval aviation is expected to switch to a new generation of multifunctional aircraft and adopt a new generation of high-precision air-based weapons systems; and patrol plane far zone. Search and rescue helicopters of the amphibious class of the far zone will be created, including for operations in the Arctic and offshore Arctic seas. For the Russian Naval Aviation the focus in the first phase will be the development and serial production of an advanced maritime patrol aircraft (MPA) by 2020. Additionally, Russia will look to develop and produce a new shore/ship-based multirole helicopter (to replace the Ka-27) and acquire a ship-based combat helicopter (the Ka-52K). Russia will also seek to develop advanced airborne strike systems. The second phase will see the deployment of the new Russian ship-based radar surveillance aircraft, ship-based UAVs, and ship-based strike aircraft. The 2021-2030 period will see the Russian Naval Aviation transition to optionally piloted aircraft, including those derived from existing manned aircraft. Obsolete aircraft are to be replaced by modern, multirole manned and unmanned aircraft. During the 2031-2050 phase naval aviation focus will switch to a new generation of multirole aircraft and UAVs and field a new generation of airborne precision weapon systems. Fairly coincident, despite what many people has been saying against the enforcement of the Russian Maritime Doctrine of 2015. This is the right way to work. Habitually, the Russian Naval Aviation has not the best funding, something that makes difficult to keep the step of other branches, specially, the Russian Aerospace Forces, in terms of procurement of modern warfare. New technologies are opening many new options in the refered to the shipborne aerial platforms, both manned and unmanned. The Russian Naval Aviation must keep them at the best level. No-one else will do. In the future, the shipborne component of the Russian Naval Aviation will be much more important than until now. To turn strongly toward the new shipborne aerial platforms very likely will mean a strong impulse to the modernization of the Russian Naval Aviation and to raise strongly the capabilities of the Russian Naval Aviation. 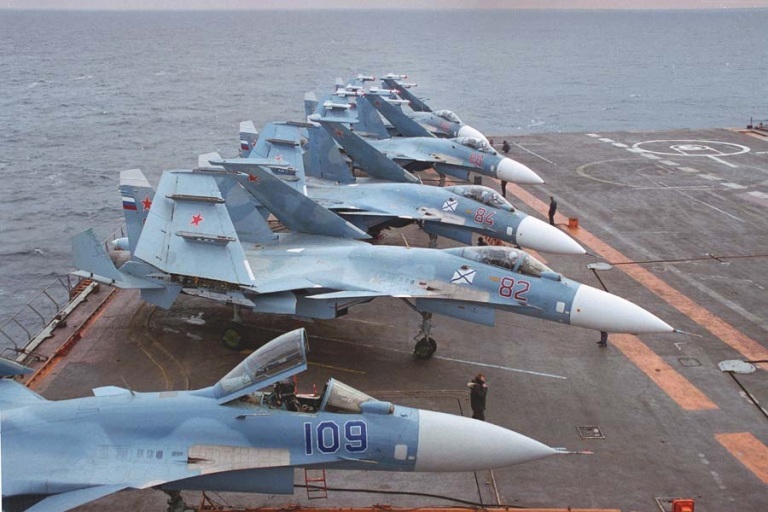 The Russian Naval Aviation must not fear standardization with the Russian Aerospace Forces. They can find advantages on it. They could be navalized & modified as AWACS & COD for for future UDKs/CVNs. I agree, they would however benefit from having a few different types for the role... smaller lighter aircraft are shorter ranged but also cheaper to operate and for close shore monitoring they are pretty good. Having both flying boats (A-42 like planes), as well as these aircraft based on the Il-112, as well as larger planes would be rather more flexible... I would also like to see the Tu-204 related aircraft replace the Il-20 and Il-22 aircraft as well as they are getting a little long in the tooth as well. Il-112 versions of AWACS, maritime patrol, EW reco ... would be great for export to small countries that don't need the huge il-76 versions. But very limited to russian huge space. Tu-204 versions of those aircraft would be nice for russia as it is a big country. It would be a cheaper little brother of A100, il-38, tu-142 and replacement for il20 to operate in close waters for cheaper. Both the Tu-204/2014 and the Be A-40/42 are bigger than the Il-38 and the Il-18/20/22. The Be-200 is smaller instead, and the Il-112 and Il-114 smaller still. As consequence their range is far below. The Be A-40/42 and the Be-200 were selected in 2015 between all the aircrafs of the time. Landing on sea is a good feature to add to the right size, payload and range. But all them are still aircrafts installed in an old concept of maritime patrol. The option of these aircrafts reaching the Russian Armed Forces seems weak because a new generation of maritime patrol, reconnaisance and surveillance is being developped in the form of modern shipborne and land based UAVs. Smartly, in the Russian Maritime Doctrine of 2015, there is a reference to assure the development and serial production of a maritime patrol aircraft (in this case the Be-200 and the Be A-40/42, considered part of a single mechanical development, and previously developped) but there is not reference to the procurement. At this point it seems unlikely the procurement of maritime patrol aircrafts of the old mold (as combat aircrafts). Both Berievs (and also the Il-114), seem maritime patrol variants to export. The Russian Armed Forces would keep living the production line until the end of 2020, and then its future likely will depend only of the civilian and foreign military demand. The right replacement of the Il-38 and the Tu-95/142 under a modern concept of maritime patrol and strategic bomber would be with Tu-PAK-DA plus shipborne and land based long range UAVs. The last contract signed for the purchase of the Be-200 as firefighting aircrafts fits a role of auxiliary aircraft instead of combat aircraft role like the old form of maritime patrol. Still, the contract is very weak, and Im not sure if it will be completed. No, you can't really judge range by size... even a relatively small aircraft can have good range by simply carrying less mission equipment and having more fuel that normally carried by that type. For instance, for maritime patrols, if you are using more than one aircraft then they don't all need to be armed so that could be 2-6 tons of extra fuel some aircraft could carry to either extend flight range or mission time on patrol. With newer technology I am sure they could be made lighter and much more capable without needing to sacrifice range or performance. The simple fact is that you don't just want one plane to do everything, because it will be too big for some missions... or if you make it small it will be too small for other missions. That is why I would suggest having small, medium, and long range models... and also having amphibious models that could also be used for fire fighting if needed would also be useful and improve flexibility. Being able to land on water is useful, as well as being able to directly scoop up water for fire fighting missions is also useful too, but the vast majority of MPAs were Il-38s and Tu-142s. Being amphibious increases operating costs and increases the purchase price, but you do get a set of capabilities with those extra costs. What they need to do is evaluate their own experience with Mays and decide how often the ability to land on the water was actually useful, or whether it is just a nice trick like older model tanks that could operate on wheels without tracks (at higher speeds... for self deployment via good roads). It was an interesting feature that looks good on paper but in actual war situations it was rarely used so they dropped it. I think A-42s and Be-200s would be useful, but I don't think they would need them everywhere and I don't think they would need a large number. Light and medium aircraft like the Il-112/114 and Tu-214 based types on the other hand would be very useful and I do like the idea of an AWACS Il-114 for smaller air forces and to fill gaps around the place for the Russian forces. 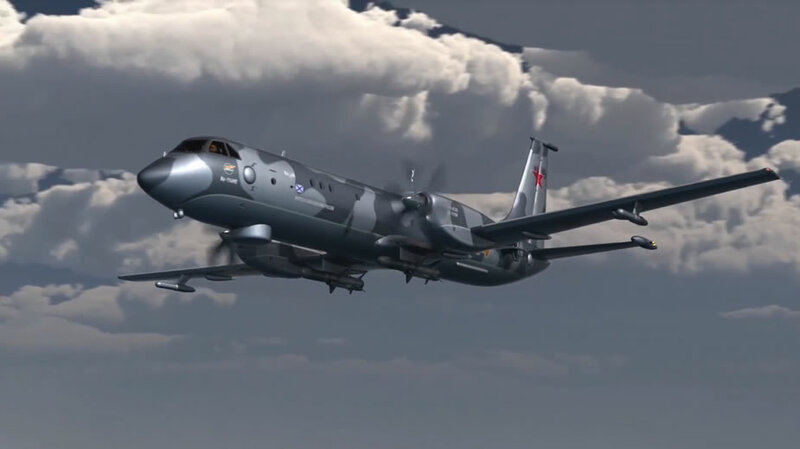 I would think it might be a useful alternative to the Ka-35 being used by the Russian Army right now... the Il-114 would operate at higher altitudes but almost certainly have a much larger radar that offers a better view of the battlefield... sort of like a mini JSTARS. The option of these aircrafts reaching the Russian Armed Forces seems weak because a new generation of maritime patrol, reconnaisance and surveillance is being developped in the form of modern shipborne and land based UAVs. UAVs have moved forwards in leaps and bounds, but I still really don't think they are even close to replacing AWACS or MPA aircraft, or even primary recon. For surveillance and recon into dangerous air space, they are ideal, but I really don't think you can take the man out of most primary air roles yet. In theory I would agree, but the PAK DA is a long way away, and will be rather more expensive than it needs to be for a MPA because an MPA does not need stealth. But that contract was with their emergency force (EMERCOM or something), not the navy... I seem to remember they ordered 4-6 and wanted a total of 10 aircraft including 4 in rescue configuration and 6 in water delivery config. Russia has strengthened the military grouping in the Kaliningrad region by the Fighter Aviation Regiment in response to the buildup of NATO forces in the Baltic Sea region, a source familiar with the situation told Interfax on Saturday. “As part of the naval aviation of the Baltic Fleet (BF), a fighter regiment has been formed, which is armed with Su-27 aircraft,” he said. In particular, the Su-27 fighters "discovered the target and worked out actions for the forced landing of a conditional enemy aircraft on the airfield." Earlier it was reported that the ground component of the forces in the Kaliningrad region — the 11th Army Corps of the Coastal and Land Forces of the Baltic Fleet — was reinforced by a tank regiment. Last year, the missile brigade near Kaliningrad was reequipped for Iskander-M operational tactical missile systems. NOTE:has been just a squadron over the past few years. Obviously a second squadron has been raised most likely from the best of the aircraft being replaced at Besovets by Su-35S's. They'll need a working carrier for it though.